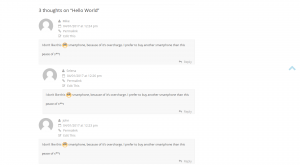 Comments Censure filters uncensored comments before showing them to end-users. 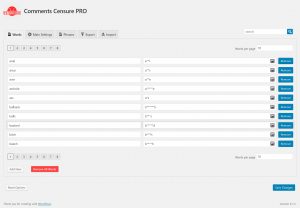 If you want to keep your blog clean, then this plugin is just for you. 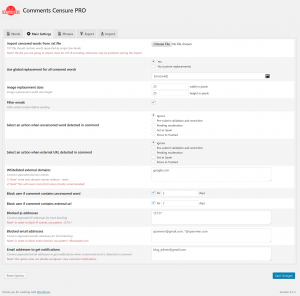 Comments Censure is very flexible and has many settings, which allows you to manage censoring process as you want, disallow or replacing uncensored words with pre-defined words. The plugin also allows to replace uncensored words with image, specific image for each word or global replacement image for all uncensored words. 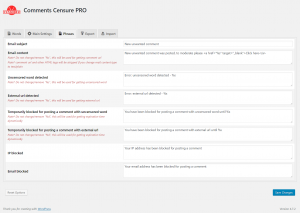 All you must do, is installing plugin and forget about uncensored comments forever, the plugin will take care about your blog comments. 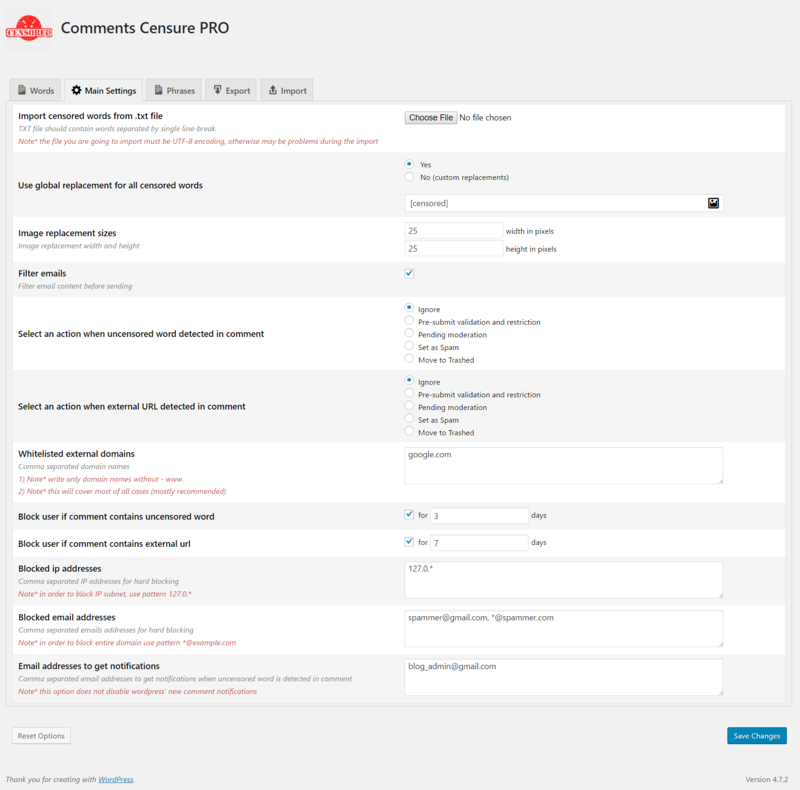 If user posting a uncensored comment or comment text contains external url Comments Censure can block that user for X days (which you can set in plugin settings page). 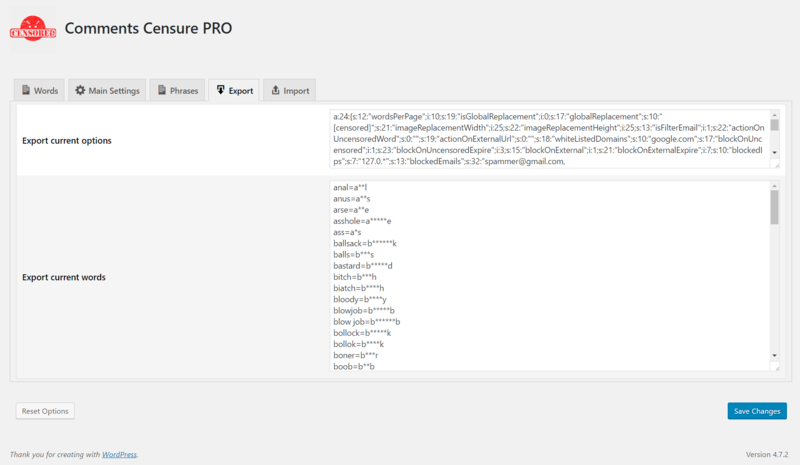 The plugin has a page for displaying current blocked users with detailed info (user IP, user EMAIL, blocking reason, blocking start and end time) with control buttons. 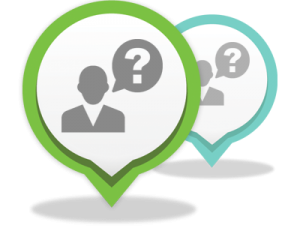 Support (access to our support forum.). One year free upgrades to all future releases. 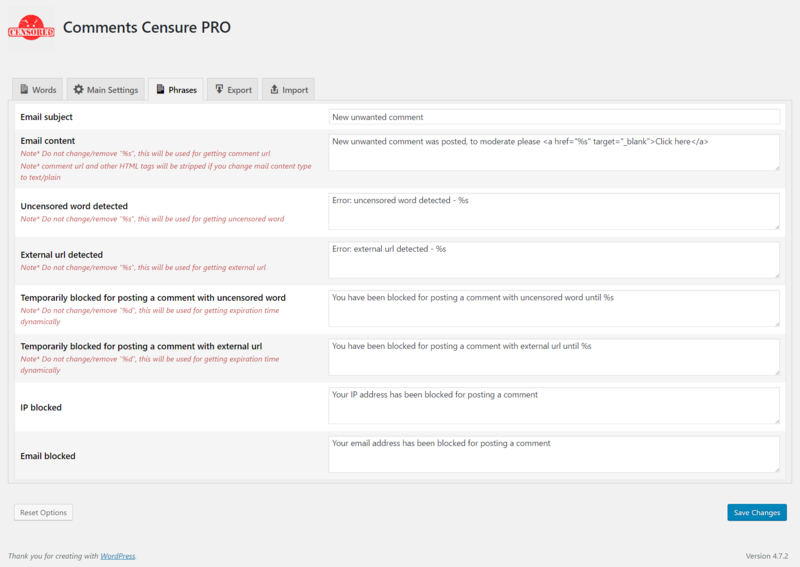 Comments Censure PRO : the easiest way to keep blog comments clean. 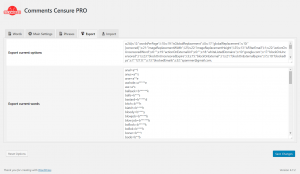 For WP multisite installation should I buy a single site license for whole blog web or a license for every blog? 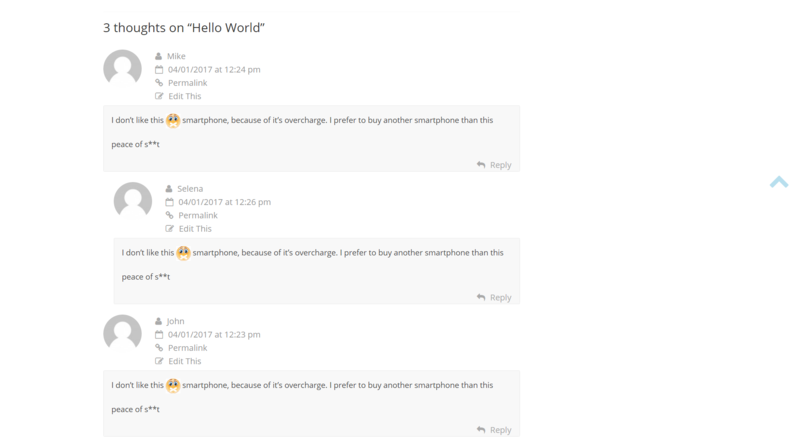 Is this plug-in compatible with wpdiscuz? 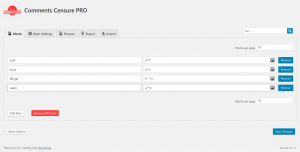 Yes, it’s fully compatible with wpDiscuz. I plan to use this with wpDiscuz. Does it also support wildcards? 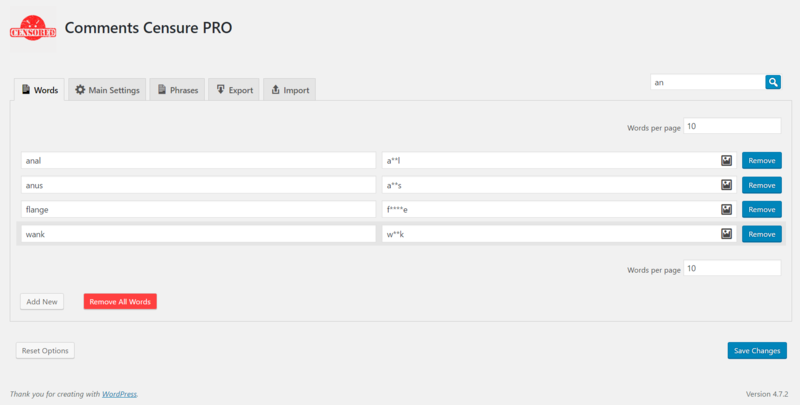 For example if I add a word like “dog” or “dog*” will it be able to filter words like “doggy”? I’m sorry, but it doesn’t support wildcard yet. However, we’ll take this under consideration.